Henry Chen, MD is a double board-certified Beverly Hills Cosmetic Surgeon. 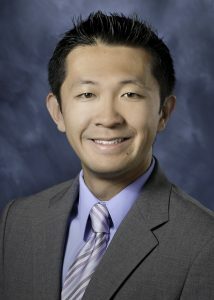 Dr. Chen specializes in all aspects of facial plastic and reconstructive surgery of the head and neck. His philosophy focuses on a personalized approach, tailoring procedures to each patient’s individual desires to achieve natural looking results with minimal downtime. Following residency, Dr. Chen was one of only 40 surgeons chosen nationwide yearly to complete a prestigious fellowship in Facial Plastic and Reconstructive Surgery. He completed his fellowship at Albany Medical Center and the New England Laser and Cosmetic Surgery Center in Albany, New York under the mentorship of Dr. Edwin F. Williams, III, former president of the American Academy of Facial Plastic and Reconstructive Surgery and an international leader in the field. When Dr. Chen is not at the helm of his successful practice as a Beverly Hills cosmetic surgeon, he donates his time and expertise to humanitarian efforts abroad. Every year, Dr. Chen makes a journey to Central America to perform reconstructive procedures to underserved populations in Guatemala. Cleft lip and palate surgery, removal of tumors of the head and neck, and reconstruction of traumatic facial injuries are just some of the procedures Dr. Chen performs for those in need. Additionally, Dr. Chen has published articles and presented research nationally relating to plastic and reconstructive surgery of the head and neck. He is the 2014 recipient of the Ben Shuster Memorial Award for Most Outstanding Research Paper in the field of Facial Plastic and Reconstructive Surgery presented by the American Academy of Facial Plastic and Reconstructive Surgery.